FC Barcelona proceeded to the next round of Copa Del Rey with a 5-1 aggregate victory over Cultural Leonesa. 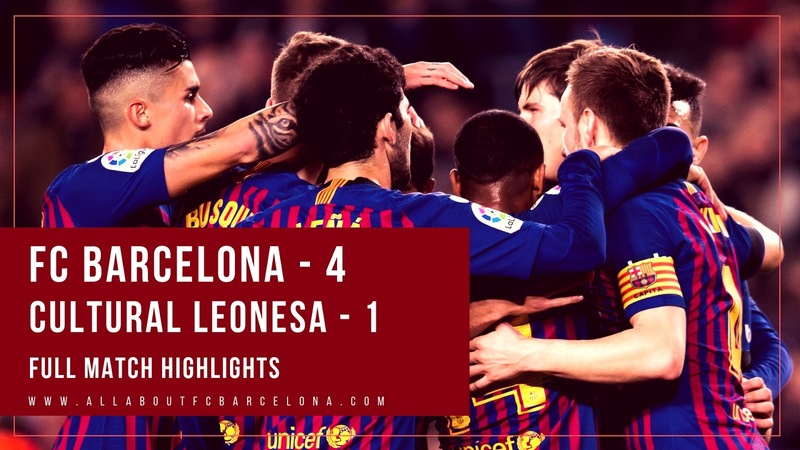 The first leg ended with a 1-0 victory to Barca and Last night, Barcelona side which consisted mostly of the fringe players produced magnificent football to beat their rivals 4-1 at the Camp Nou. Dennis Saurez scored twice, Malcom and Munir completed the scoreline with one goal each. Discover the latest features and innovations available in the 65 inches Class Q9F 4K Smart QLED TV (2018). Find the perfect TVs for you!